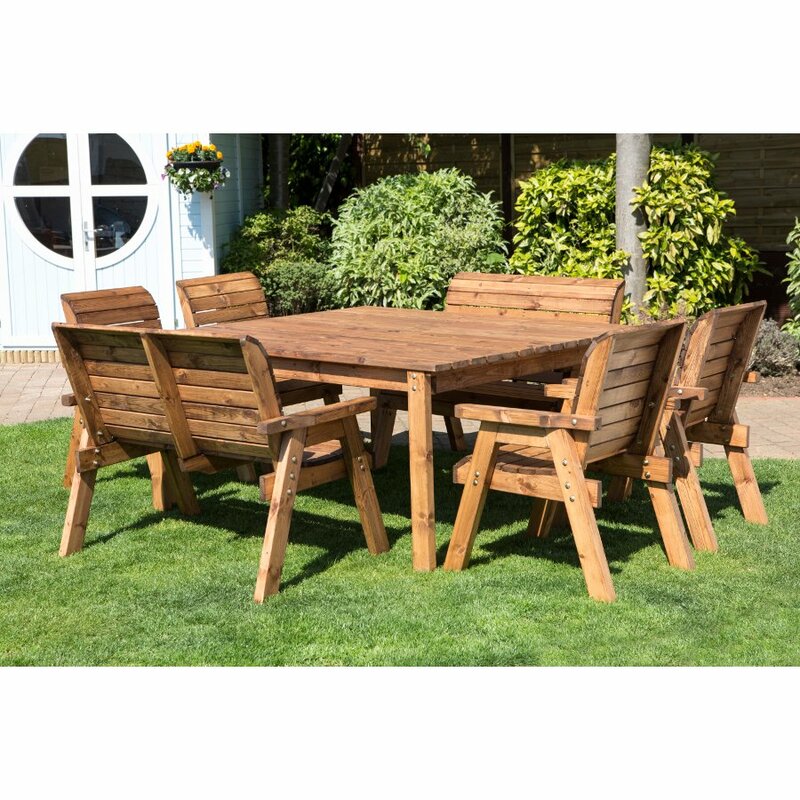 This large eight-seater outdoor dining set has been hand crafted using high quality sustainably sourced materials and includes a large square table along with two two-seater benches and four chairs. This sustainable garden furniture set is ideal for big garden parties and barbecues in the summer, and is complete with a hole for a parasol for those rare hot summer days. The wood has been treated with one coat of oil based wood preserver. It is recommended that you give the furniture set another coat of wood preserver for extra protection. The Eight Seater Deluxe Square Outdoor Table Set - HB44 product ethics are indicated below. To learn more about these product ethics and to see related products, follow the links below. 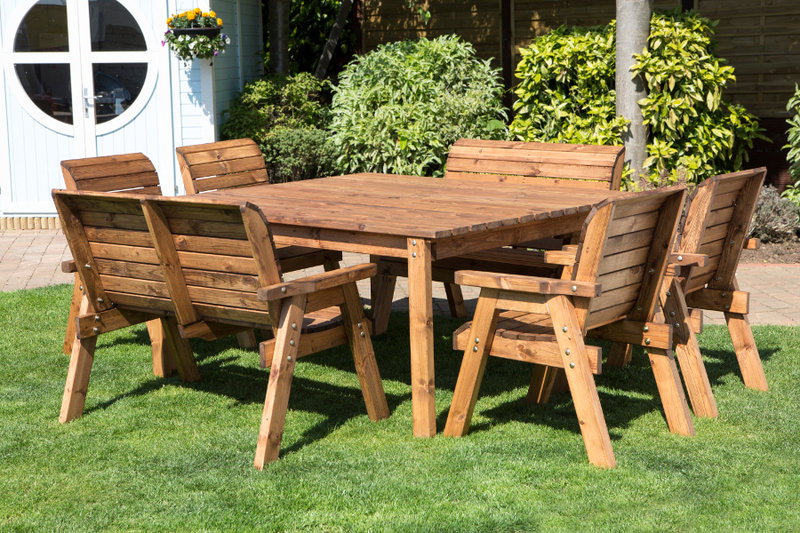 There are currently no questions to display about Eight Seater Deluxe Square Outdoor Table Set - HB44.